Ques. What are the benefits of floater plan? Ans. Family floater policy is giving you better rates. If you have a normal policy then every member is eligible for sum mentioned against his name. In family floater sum is for the family so any one/ some/ all family members can lodge claim. Ques. What should I keep in mind before obtaining services from TPA? Ans. Keep policy number/ID Card No. handy. Prescription of doctor advising hospitalization, who will conduct procedure/ surgery in hospital, what is the treatment to be given, what is estimated cost, Expected date of admission into hospital and for no of days you will be in hospital. TPA will ask these questions and will ask you to submit / fax these documents. Ques. What happens in the event of an injury or illness that demands immediate medical attention? Ans. Life is important. Injured / patient should be taken to doctor / nearest nursing home/ hospital and emergency treatment should be provided. At appropriate time if necessary the patient can be moved to an empanelled hospital in consultation with the insurance company/TPA. Ques. How do I purchase the insurance? When does the insurance take effect? Ans. 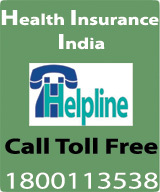 You can purchase health insurance from Insurance Company or through insurance intermediary–i.e. agent / advisor / Insurance Brokerage Firm. It is better to buy through Insurance intermediary as you get support in the event of lodging claim. Ques. Should I purchase a combined policy for my parents or separate individual policies as both my parents are visiting me? Ans. Yes – it is better to have combined policy. You can also include their names in family floater policy. You will same money. Ques. What ate the Documents Required by TPA for giving approval for cashless settlement? Name of patient, policy no, Insurance Company. Prescription of Doctor advising admission to hospital / Details needed are. These documents will be needed by TPA and can be. Medical officer of TPA will see the docs, talk to Hospital / doctors if required and give on to hospital to treat the patient. 4Collect authorization from TPA to show to hospital so that their do not ask for payment. Ques. My father recently crossed 60 and he is diabetic. I want to buy health insurance medicliam for him. Please suggest some good plans and their benefits. Option1. Get policy from any insurance company with exclusion of diabetes for 4 years. Option2. Get policy from one of the following companies. (a) Star Health- Diabetic Care: You will have to pay 30% of the claim amount. Ques. I delivered a premature child five months ago. Can I buy a health policy for him now? Ans. As child is more than 90 days old yes, you can get the name added to your Health Insurance policy by paying premium for remaining period of the policy. If you would have Max Bupa policy and maternity claim was also paid by them then the name of the child would have been added immediately and without any additional payment. Ques. I am 33 years old and have a medical insurance. I plan to go to the US for higher studies. I am not sure if I will come back to India. However, if I discontinue my policy now and happen to come back to India after two years, I will lose the benefits accrued on my current policy. What should I do? Ans. You are right. Choice is yours. It is better to retain policy as you may need hospitalization when you are in India for holidays during this 2 years period. Ques. My father and I are going to visit the US. Our travel insurance covers medical expenses too but it is from a company in India. If something were to happen to us in the US, how would we invoke the policy? Do Indian firms have offices in countries where they provide a cover? Ans. 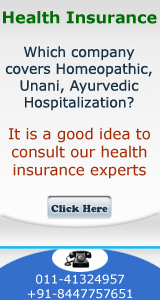 Indian Insurance Companies have arrangements with companies in US as well as in other countries. You should not worry- you will get service everywhere in the world. Keep your policy handy during travel as it has helpline phone numbers. When you call helpline number you will need the policy number details to proceed further.